It always amazes me when I take a moment to stop and think about the direction our society is taking. About how far we’ve come, technologically speaking, in just a relatively short time. My amazement was taken to a new level yesterday when I was asked to join a Google+ Hangout. It was my first Hangout and I must admit I was a bit nervous and had those first time you’re-using-new-technology jitters. However, I prevailed. I now know that using Google+ Hangout is fairly easy and even the technological rookie shouldn’t have much difficulty using it but just in case, here is a step-by-step guide to how Google+ Hangouts work. Create a circle for those who you want to join your hangout. It could be coworkers, family, friends etc. See, easy. Even the Muppets can do it. Now imagine the possibilities. When you’re working, you can invite your remote co-workers to Hangout and brainstorm ideas and projects. Google+ can support up to 10 people in a Hangout at one time. Google+ is a great tool for collaborating in real-time. It has features that allow you to view each other’s screenshots so people can follow along in demonstrations and tutorials. It supports video chat with simultaneous Google docs sharing in which you can edit your work and access sketchpad for drawing out your ideas. While other services such as GoToMeeting have similar features, Google+ is free. (Wait — Did I mention it was FREE)? There’s also a feature called Hangout On Air, in which you can group chat, record and broadcast your content live to anyone on Google+. This is a great idea for product announcements, demonstrations, introductions and more. While it’s true that lots of other tools can do one or more of the tasks that Google+ Hangouts can do, part of the draw is that Google+ is integrated into a social network the way that no other tool is. You can send out invitations to your hangout easily through your social network and encourage participation, collaboration and sharing amongst friends, family and co-workers. And while the 10 limit is a bit small, hopefully Google+ will increase the number of people who can attend a hangout. So, I guess I’m sold. 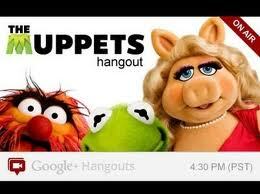 I plan to integrate Google+ Hangout into my social media routine on a regular basis. Will you? Mom, Twitter addict, full-time social media manager and the owner of Social Amateur, a consulting company focused on helping small businesses navigate the world of social media marketing.